Consider the Pyramids … Go team! 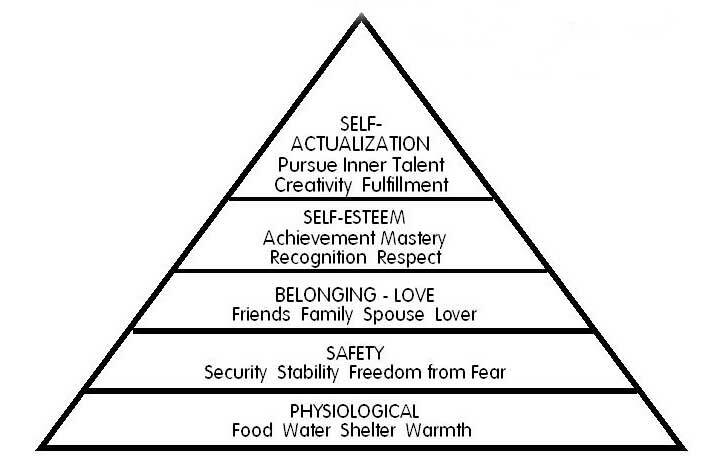 Well my friends, we are on the final stretch, nearly at the top of this trek up the Pyramid of ‘needs’! So what do you think about SELF-ESTEEM? It is often used to describe a person’s overall sense of self-worth or personal value, a feeling of pride in yourself! How many times have you had your ‘self-esteem’ boosted by a compliment or a well done pat on the back? That elated feeling we get when we know that the recognition from others has been achieved by the sweat of our brow or by gritting our teeth and getting on with it. But my other question is this, how often do we tell ourselves well done? When do we give ourselves a gold star for having moved up to the next set of weights or running instead of walking? It is at this point that I digress from my original plan for this Blog as tonight during my workout with GymGuyMark, I did something that only normally occurs after a barman shouts last orders. I ran. Yes, you read that right, GymGuyMark had me out running. Not far in the grand scheme of things but far enough for me. Then, when we got back to the Western Tennis Club Gym, I did what felt like some weights using the pyramid method! My arm muscles were burning so badly I thought the smoke detectors would go off. At one point my right arm became painful so I had to give up, reluctantly. So what did I do? Instead of thinking ‘well girl, you have done not too badly tonight’ I got angry at myself for being what I thought was weak! Why do we do that? Why do we not realise that the best person to boost our self-esteem and give us recognition for our achievements, is ourselves! We have made the decision to change our lives by deciding to climb that pyramid and adopting a new ‘regime’ so let’s take five minutes and say ‘ go team Me’ with many high 5’s or a stiff gin to celebrate! Now let’s RESPECT ourselves! Yes, R E S P E C T! Time to make sure, that we are still looking after ourselves. I know that Mr M probably meant the respect of others but hey this is my Blog! SUPPORT : Ladies, is that the right sports bra for you? Is it time to get re measured? BODY: are you eating correctly? Remember it doesn’t matter what you do in the Gym, if you keep eating rubbish all the time, you will trash all your efforts! SOUL: take time to rest and zone out, walk in the fresh air, go for a good massage or aromatherapy treatment, have a long hot soak in the bath. Be good to yourself. Finally one last thing, think of one person who has been a tremendous support to you so far? 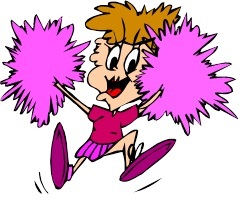 Who is perhaps the most unexpected of cheerleaders on your ‘team’? Why not say thank you to them today, tell them how much you appreciate their support and why! Then say thank you again to you, yes you! Yep, you may have a great trainer and great support but at the end of the day, you got yourself to where you are. You made the decision, you made the change. Previous Consider the Pyramids – the Support role ! Next Consider the Pyramids … Smile, it is all about you!